I like to have some fun with our final exams! I can't quite give my students paper and a scan-tron, so we do things a little differently and a whole lot more fun. 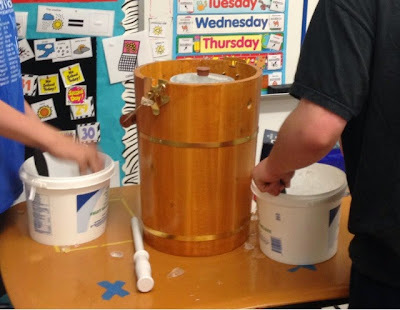 This year, during our language arts and resource final we made homemade ice cream! The kids were so excited and completely focused. We went to the kitchen to heat up the milk (which they all thought was really weird) and then combine all the ingredients together (heavy whipping cream, half and half, sugar, salt, vanilla - it was the recipe on the box). That then had to go in the fridge for a half hour so we went back to class and reviewed some of our environmental print stories. Then the fun began!! First students had to fill the surrounding part with ice and rock salt. Then we took turns cracking the ice cream. The ice cream maker we used was awesome because you can start by hand-cranking and then switch to electric. 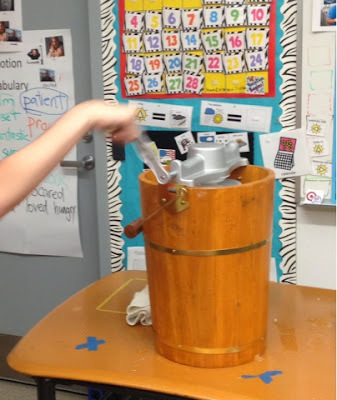 The electric cranker is awesome, but I have to admit, it got a whole lot louder as it started to turn into ice cream, so next time I'd do it outside of my classroom. During this time I took my students out to assess them on the community signs we had learned this year for their resource final. After 45 minutes of the electric stirring the ice cream was ready to eat! We loaded on the toppings and sprinkles and every single one of my students had seconds. It was probably the best ice cream I have ever had, no joke! Students were assessed on their ability to behave and follow directions. For my fine arts finals, I had students identify the different instruments on the garage band app and while I was working with individual students the others had time to compose their own music. It was a lot of fun to watch them be creative. Then I had them paint a picture and assessed their ability to get started, choose colors, and paint on their own. I just used a simple +/- system to assess both of these skills and determined percentages from those. We also watched a movie that we had created of video clips and pictures throughout the year. Last, we had our math final exam. Similar to what I did last semester, but this time instead of a restaurant, I set up a store and put a bill in front of each item to purchase. Students then were given money and had to match/pay with the correct bill to get each item they wanted. Brie- Love those finals! 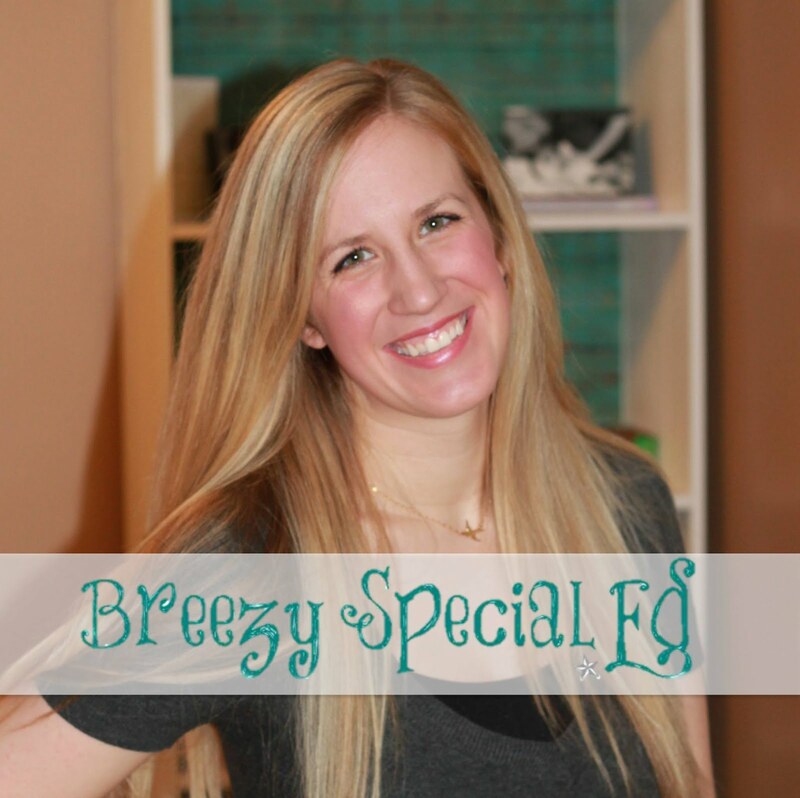 You really thought outside the box and made it something meaningful for your students! I love the ideas, if I ever move to high school from middle school I am definitely doing this too! Thanks for sharing!